The fête took place on January 24th at the United Nations’ Ambassador River View and brought together fashion designers, philanthropists, artists, musicians and all around fabulous fashionistas to enjoy a night of runway presentations and musical performances, to celebrate the release of VERA and the SAVE.LOVE.GIVE campaign, Validas’ latest tech endeavor in the form of an app that allows users to repurpose “WirelessWaste” for philanthropy. Validas and Seven Bar Foundation have partnered up to raise mass awareness to empower women through microfinance, and VERA is a clear example of their enterprise, repurposing what you pay for your mobile plan versus how much you actually use. The fashion portion of the evening featured re-imagined corsets by several contemporary designers. 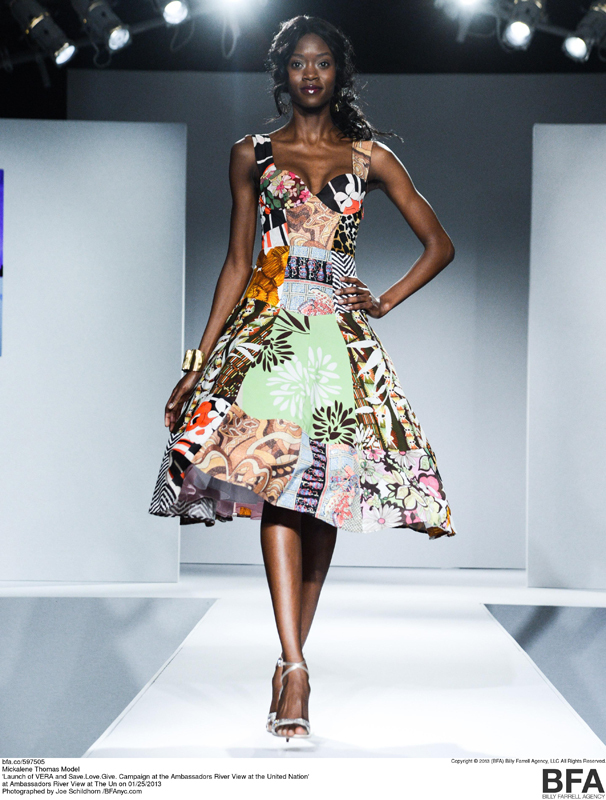 Renowned salon, Warren-Tricomi, styled the models, who strutted down the catwalk in designs by Agent Provocateur, Erin Fetherson, Guy Laroche, Zang Toi, Moss Lipow, and Mickalene Thomas, while french pop sensation Yelle’s Safari Disco Club played on the background. 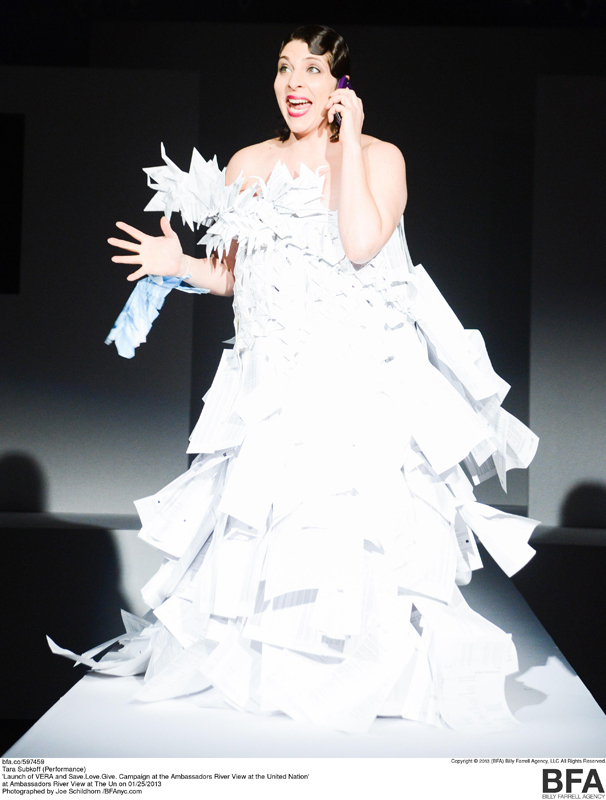 An original performance by actress-designer-artist Tara Subkoff choreographed and co-composed a mini-opera, executed by Eve Gigliotti, MET’s soprano, wearing an origami corset dress made entirely of recycled phone bills, the theme of the music piece. Following up on that, Yelle rocked the house with a set of songs that included the latest single, L’ amour Parfait. Photos courtesy of BFA Agency.